Tuner is an application for finding optimal parameter settings for complex algorithms. 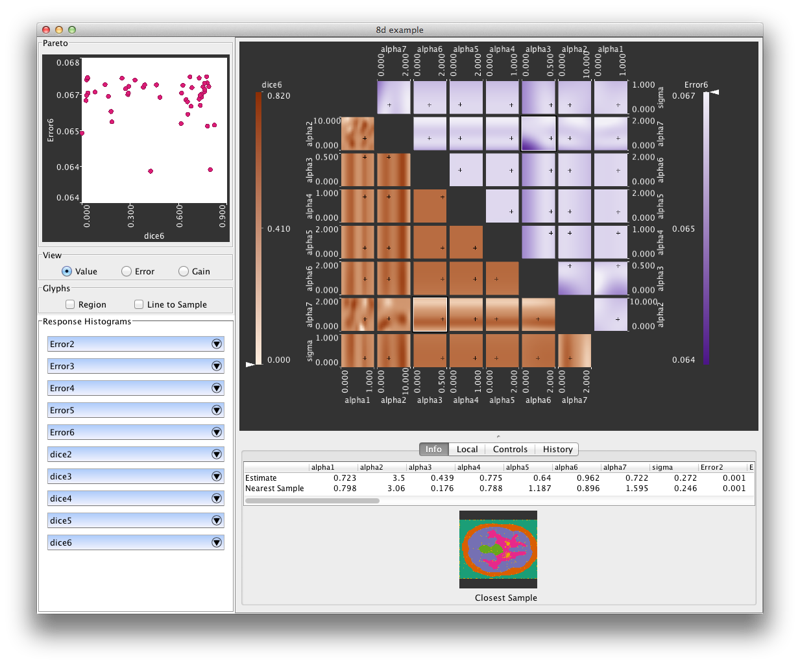 It supports sampling, resampling, and optimizing within a high-dimensional parameter space. It also allows the user to visually see the stability of certain parameter settings with respect to the objective measures. This is especially important in cases where one desires an optimum that is invariant to parameter settings (so things stay good over a wide range of parameter settings). SamplingScript describes how to write the interface between Tuner and your computer algorithm code. Use GitHub Issues to report todos, bugs, for feature requests, and more.